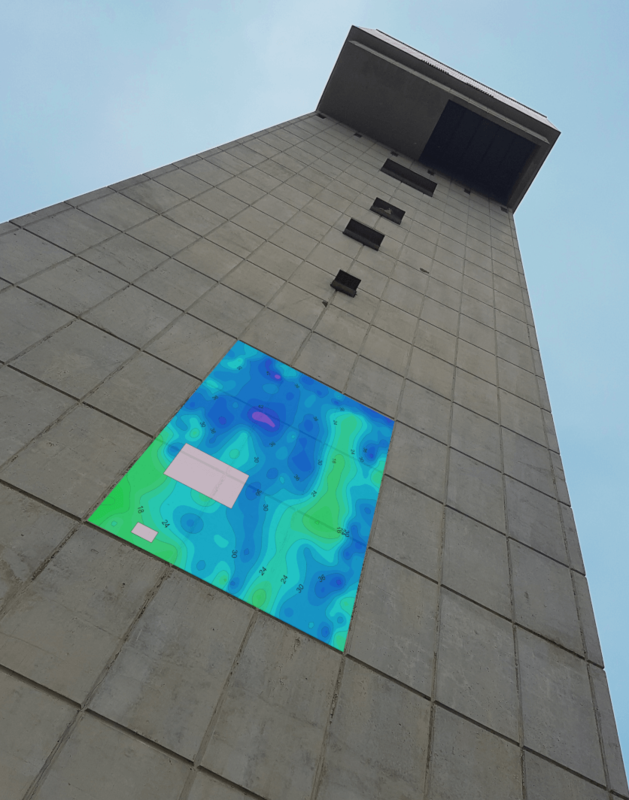 Concrete imaging and scanning has been an interesting topic for many materials and structural engineers, inspectors, as well as the owners. 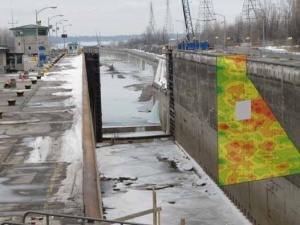 It helps identify and quantify sub-surface defects more efficiently, and comprehend the extent of damages. Different non-destructive testing methods have been developed for concrete imaging and scanning. In this article, we will review some of the most famous NDT methods for concrete imaging and scanning. Concrete Scanning can be used to reveal sub-surface deficiencies such as voids, delamination, poor quality patches. Moreover, the NDT methods can be used to locate steel rebar, post-tension strands, live conduits, pipes, or any other structural and non-structural components. Ground penetrating radar (GPR) is a very useful technique for nondestructive concrete imaging and scanning. 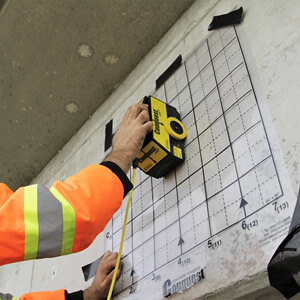 GPR uses pulsed electromagnetic radiation to scan concrete. GPR consists of a transmitter antenna and a receiver antenna, and a signal processing unit. GPR emits electromagnetic pulses (radar pulses) with specific central frequency to scan the subsurface medium. The reflected waves from subsurface layers, and objects are captured by the receiver antenna. The scanning apparatus can be mounted on a truck or a special vehicle and perform the scan at the traffic speed. This will eliminate the need for extended road closures. The practice has been standardized by ASTM D6087, 2008. The main advantage of GPR method is the speed of test. Large areas can be scanned in a limited period. GPR can be used for scanning the location of steel reinforcement. The device can be used over existing coatings. While GPR can not directly detect delaminated areas on the concrete, it can indirectly identify potential delamination where moisture content varies. It is noted that GPR can not provide information about the mechanical properties of concrete. 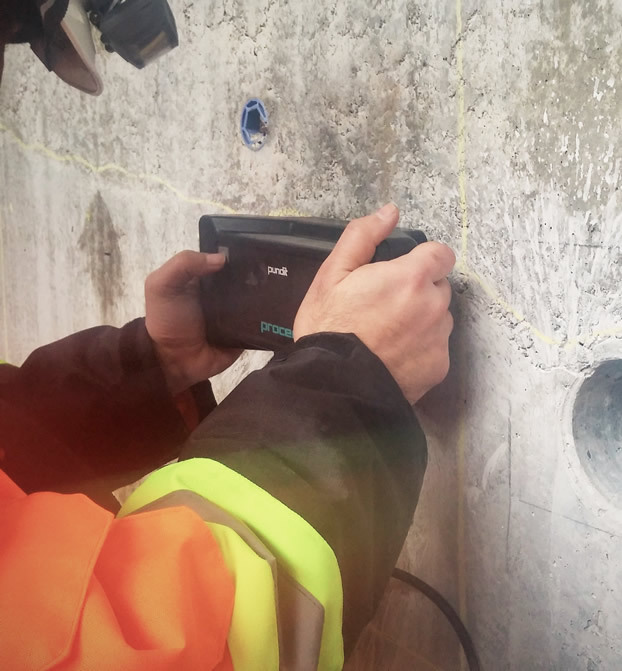 The Ultrasonic Pulse-Echo (UPE) method can be used for thickness measurements, flaw detection, detecting delamination, and evaluation the integrity of concrete. The concept behind this method relies on the propagation of stress waves through materials. A transmitter introduces a stress pulse into the object at an accessible surface. The pulse propagates into the test object and is reflected by flaws or interfaces. The emitted impulse and the reflected acoustic waves are monitored at the receiving transducer. The signals are analyzed in the time domain, to calculate the wave travel time. UPE can be used to effectively identify voids and poor quality patches within concrete elements such as slabs and walls. Concrete scanning and imaging using X-ray can be done using conventional methods, or the digital medium. The major difference is how they process the image. Since this technology is using high energy X-Rays, usually a clearance is needed before conducting the test. This means that a clear distance of approximately 25 m should be observed for the purpose of testing. The test can identify the location of steel rebar. The test results should be processed and interpreted by an experienced technician to map the images on the concrete slab. One major limitation of the method is that it does not provide information about the depth of sub-surface defects. Seismic tomography is a special test setup based on the very concept of UPV. In this method, a number of receiving sensors are placed and fixed in the test locations, while the transmitter moves. The pulse generated by transmitter are received by receiving transducers. The pulse velocity at each trajectory is used to obtain a 2D or 3D seismic tomography contour maps from the condition of concrete structures. Seismic tomography is ideal for testing the large scale concrete elements. Seismic Tomography is an ideal test method for mass concrete elements, and can reveal internal defects. This entry was posted in GPR, NDT, Parking Garages, Ultrasonic Testing. Bookmark the permalink. ← How to Evaluate Bridge Abutments?